Why People are still Underutilizing Acupuncture! Many have heard of Acupuncture, fewer still have tried it. Of the people who have tried it, many still underutilize their acupuncturist. 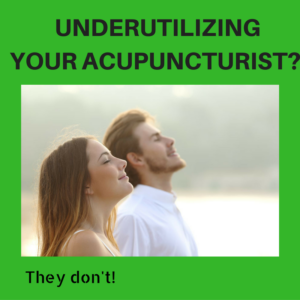 In this article, I examine with you why people are still underutilizing acupuncture! Don’t Know What We Treat! Everyone has heard that acupuncture can treat pain. Acupuncture can also help with anxiety, stress reduction, improving sleep, reducing fatigue, enhancing your libido, and improve a lot of areas of your life. These things are not thought of, simply because most people don’t know about it. I once had a patient who was a stressed insurance salesman. He experienced stiffness, pain in his shoulders, and lower back. As he got treated, he realized that he was getting great benefits for his stress, poor sleep, energy, and acid reflux as well. This is a usual experience, typical for people who are newbies, and have never experienced acupuncture before. Once people start to feel these benefits, they start to look forward to their treatments. Instead of going to a stress specialist, a sleep specialist, and an orthopedic for the neck and lower back, they love that acupuncture can take care of many conditions that ail them. The average person does not have any education or knowledge in acupuncture; many people don’t realize that they could utilize it for treatment of a variety of issues. This is amain reason why people are underutilizing acupuncture. Don’t Know What Services Other Than the Needles We Can Do? Did you know that some acupuncturists do gwa sha, cupping, and Chinese herbal preparation to help you feel better? Many don’t know what these techniques are. Gwa sha is a muscle relaxation technique that helps relax muscles by release its waste products, such as lactic acid. Lactic acid can remain buried in the muscles for years and can cause tremendous tightness and spasm. Cupping is another technique to help relax muscles. Glass cups are placed on the skin, by suction. The cupping also decongests muscles, so they feel looser. Chinese herbal supplements can help individuals in a variety of different ways. Each supplement is tailored around specific needs of the individual. The ingredients for these supplements are based on laboratory checks to ensure purity. Why just take medications with all of their side effects? Many individuals are searching for and turning to more natural therapies for keeping themselves healthier. So they go to the vitamin shop, they get massage, they do Yoga. Many are underutilizing acupuncture because they don’t know about other services that acupuncturists offer. Don’t Stick Around Enough to Get the Benefits They Desire: Many people are used to going to the doctor when they are sick, and getting a quick prescription that will help them within a few days. However, with acupuncture, since you are stimulating the body, to help itself, it is not the same thing as getting an injection or taking a pill, it simply takes more time to see the results. Why Wait For There to be a Problem? If you had insomnia and you found a way to start sleeping better, why would you want to stop sleeping well? Issues like high blood pressure, heart diseases, poor memory, fatigue, lowered immunity, and poor quality of life, arise from lack of sleep. Once you have a problem develop, it takes time to eliminate it and then some time to maintain it so it doesn’t return. People are looking for ways to reduce the “wear and tear” on their bodies and taking care of themselves, proactively, so they can improve their quality of life. 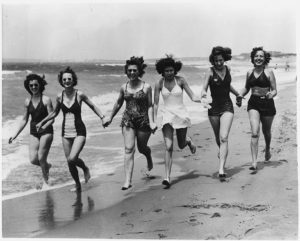 Needles Scare People but Acupuncture Needles –C’mon! They Are Something Else: Many don’t realize that acupuncture needles are like no other needle that they ever have experienced! Acupuncture needles are slightly bigger than a cat’s whisker and have nothing injected through them. But people’s earliest experience with needles used for injections, make them scared to try acupuncture. Not all needles are created “PAINFULLY”! Acupuncture needles may pinch but if you’ve ever gotten your eyebrows threaded, acupuncture is much less painful.But getting people to realize this is almost 50% of the reason why people are underutilizing acupuncture!!! Chinese medicine is not to in our culture! When you start using a medicine, it has to be part of your culture. Acupuncture was only introduced to our culture in the 1970’s. It is still new and relatively novel. In Asian cultures, many people just go to their herbalist, put their wrists out, get their pulses “read” and then are prescribed herbs for their condition. (All without even talking to them!) They also don’t question about getting acupuncture needles, because it has been in the Asian culture for over 3,500 years! That’s a long time to acclimate and accept it. It boils down to education in order to get people to understand it. No one can understand acupuncture because it is not part of our culture and is unfamiliar to us. It’s the same way Yoga went from some arcane practice to a mainstream way to balance the body and calm the mind. Another example is, dentists. Dentists have been around for over 300 years. People in our culture, even before the civil war, have been going to the dentist. Ever drink a warm beer? Only in Germany – that is the norm. In the US, it won’t fly! 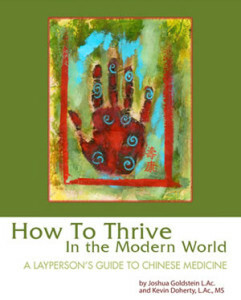 Acupuncture and Chinese medicine needs time to take root in our culture. Instead of underutilizing acupuncture, if you are interested how acupuncture can help you with your condition, or just to feel better, I invite you to read more of my blog posts on my website acupunctureYes.com/blogs. If you have a pressing matter, or a specific question regarding yourself, please feel free to call me at 201-444-7150. I am never too busy to help you! How Many Acupuncture Visits Do I Need? Turning to Acupuncture for Stress Relief! Are Chinese Medicine and Acupuncture Still Relevant? My experience with him was phenomenal. He [Joshua Goldstein] is very good at what he does and he has a very well rounded approach to helping. I would recommend him to anyone, especially if they suffer from stress or aches. Enter your name and email address to get instant access to this informative ebook now!